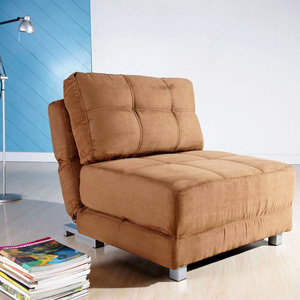 With a comfort-oriented design, this convertible chair bed is multifunctional. This furniture takes full advantage of any available space. The contemporary seating can be used as a chair, chaise or bed. Color: See Available Colors Below.